When NightBird Sings At The Studio! The recording studios at the Sunset Marquis Hotel & Villas is celebrating 15 years in the industry with a new name, NightBird The Studios! And that's not the only change. With recent architectural remodel and addition of State-of-the-art gear, NightBird the studios is set to offer artists and producers an inspiring working environment. Plus, you can expect the same top flight service the facility has been known to provide. high-end remodel from interior design to recording and technical equipment. On its first operating day, Seal recorded with his producer Stuart Price in one room while Cyndi Lauper recorded in the studio next door. In collaboration with renowned acousticians George Augspurger and Peter Maurer, the additional new production rooms created with rich, solid mahogany combined with custom leather sofas, create a warm atmosphere more like a private VIP lounge than a recording studio. The studios feature an ideal combination of the best vintage equipment and the most advanced technology in digital audio and video. 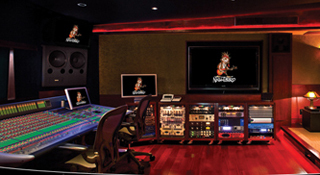 Surrounding Digidesign's Pro-tools HD6 and flagship Icon console, are six LCD HD displays measuring up to 65" for working to picture. 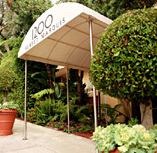 Discretion, elegance and luxury go hand in hand with NightBird's location on the grounds of the Sunset Marquis. All hotel amenities are offered to those utilizing NightBird's compound including delicious 24-hour meal and beverage service, valet and concierge services, as well as massage and spa treatments. When recording or writing, Studio guests may take a break to write poolside or step into Bar 1200 for a cocktail. Born when Jed Leiber and Jeff Beck were jamming in a hotel room and were told to go downstairs by Sunset Marquis GM Rod Gruendyke, they found an empty space under the hotel, and Jed never left! 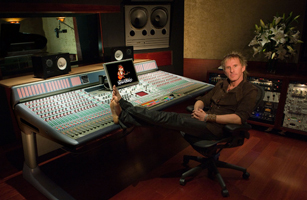 Setting the standard for recording, NightBird is a joint venture between the Sunset Marquis and musician/composer Jed Leiber. Technologically on par with the best-equipped commercial recording facilities in the world, NightBird has facilitated numerous feature film scores, soundtracks and album recordings. For those who require complete secrecy when writing or recording, talent may go direct from the underground garage to the studio with no eyes upon them. 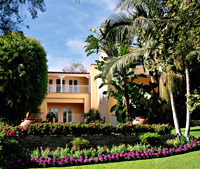 The Sunset Marquis is known as the place "certain A-list actors and musicians" like to live, which makes NightBird a most enticing location for film voiceovers, editing film scores, writing music, and recording. 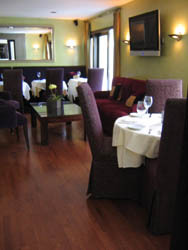 NightBird also provides a unique, private, and elegant environment for photo shoots, recording interviews and high-tech conference presentations. In addition to the recording studios, a world-class screening room has been created for not only those working on films, but also as an amazing option for private screenings on an HD projector with a 120" screen and 7.1 surround sound. Vries and Chris Fogel (Alanis Morrissette). Conveniently located in the heart of fashionable West Hollywood (near House of Blues), NightBird, the studios offers boutique style production and mixing rooms for record, film & video projects.